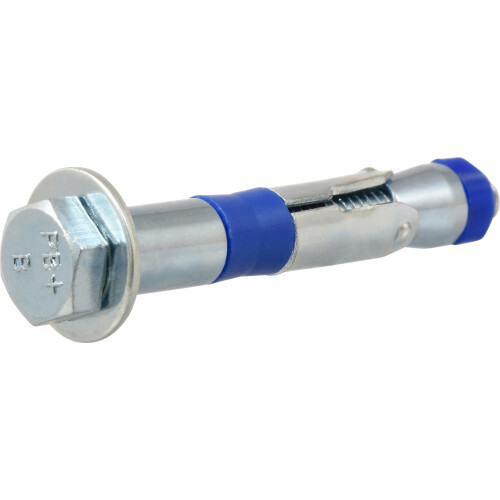 The Power-Bolt anchor, is a heavy duty sleeve style, self-locking anchor which is vibration resistant and removable. The design allows them to anchor into concrete, brick, block or stone. Turning the nut pulls the working end of the sleeve anchor up through the sleeve, expanding and anchoring itself securely in the base material. 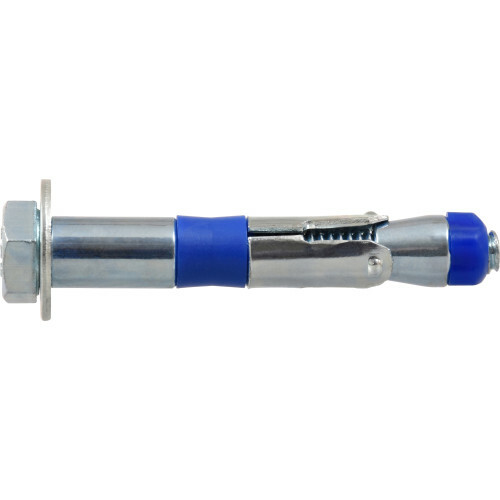 The removable internal bolt makes this anchor suitable for applications such as mounting machinery which may need to be removed for service, and for temporary applications such as a heavy duty work.